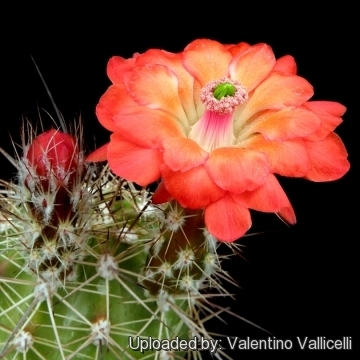 Accepted Scientific Name: Echinocereus coccineus subs. paucispinus (Engelm.) W.Blum, Mich.Lange & Rutow in W.Blum et al. Echinocereus Monogr. (preprint)  (1998) W.Blum, Mich.Lange et al. Habitat: It is found growing on rocky outcroppings, often in the partial-shade of oak and pine-oak woodlands and mixed conifer forest. 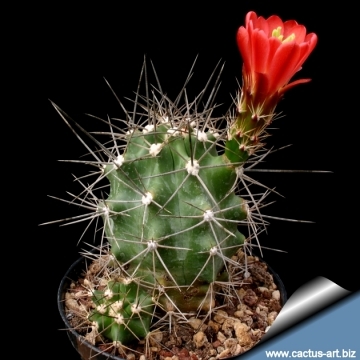 Description: Usually clumping, Echinocereus coccineus subs. paucispinus (Echinocereus paucispinus) often forms large colonies of many as 50 thick, stems on each plant at maturity. Stems: Semi-erect, pale green, up to 40 cm tall, 6 cm in diameter. Ribs: 5 to 8 warty with narrow furrows. Areoles: Whitish, 1-2 cm apart. Radial spines: 3 to 6 straight or not, 1.5-2 cm long yellowish and turning grey after some years. Flowers: Funnel shaped, hummingbird-attracting, scarlet with a clear throat, length and width averaged 60 mm and 30 mm, respectively, the petal tips are rounded, stigma with 7 or 8 lobes. Peak flowering comes from late April to June on mature clumps. 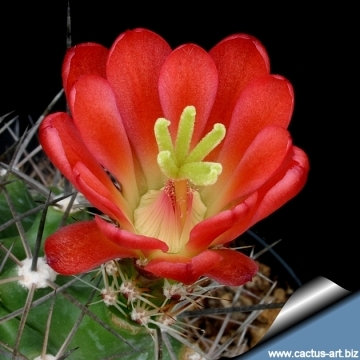 Remarks: Female and male flowers: Echinocereus coccineus subs. 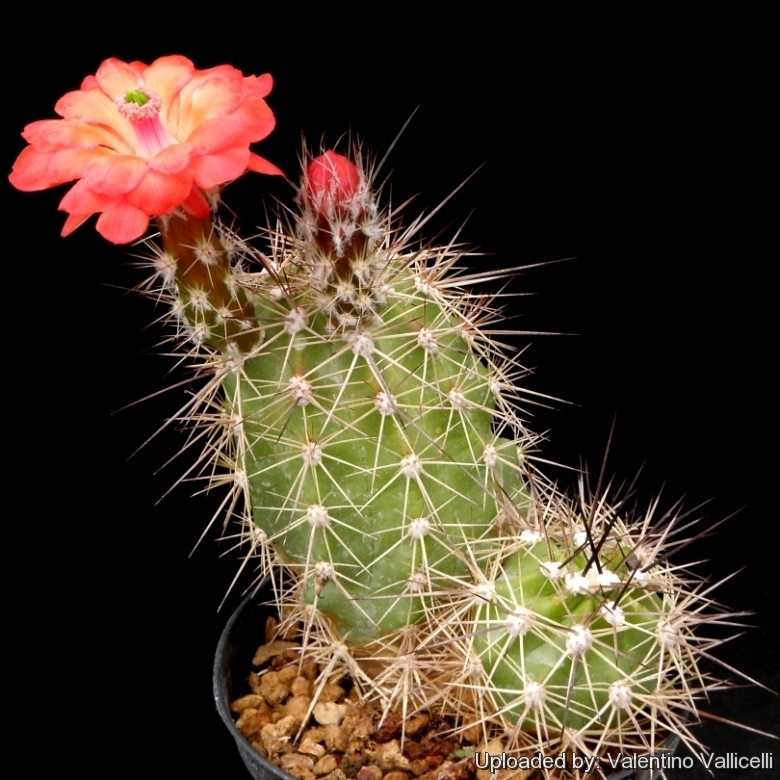 paucispinus is a cactus with both hermaphroditic (bisexual) and dioecious (male and female) forms of flowers in different plant. Male flower shows pollen-filled anthers surrounding the base of the stigma lobes. While functional female flower from different plants show reduced filaments and empty anther sacs held below the stigma lobes. The flowers appear specialized to hummingbirds but are also pollinated by bees they are huge and highly rewarding, and daily nectar production averaged 30 mg sugar/flower. This set of traits represents a syndrome rare among hummingbird flowers in which the flower fits the head rather than just the bill, and birds are well rewarded for a risky or inconvenient visit. 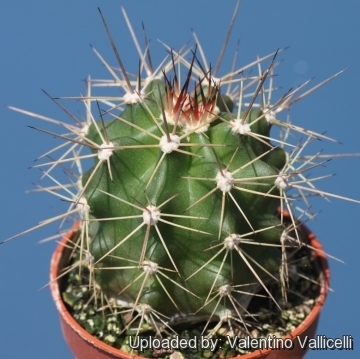 Notes: Echinocereus coccineus v. paucispinus is a tetraploid form that was formerly considered (for its superficial resemblance) a synonym of Echinocereus triglochidiatus, but may be distinguished by its relatively terete and more consistently straight spines and now is considered a distinct species. 3) Terry, M., Heil, K., Gómez-Hinostrosa, C. & Corral-Díaz, R. 2013. Echinocereus coccineus. The IUCN Red List of Threatened Species. Version 2014.3. <www.iucnredlist.org>. Downloaded on 29 April 2015. 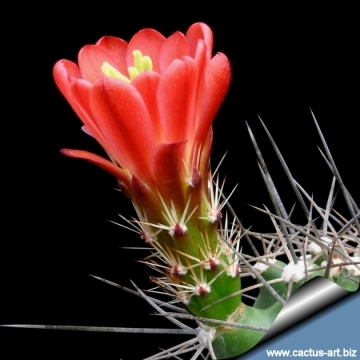 Cultivation and Propagation: Echinocereus coccineus subsp. 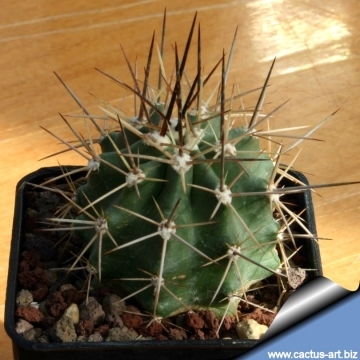 paucispinus is fairly easy to grow. It makes great potted specimens. Propagation: Cutting as it branches freely from the base; Also can be grown from seeds. The seeds may be germinated and grown in containers. Their main requirements consist of high humidity levels, free-draining soil mix, and enough water, light, and nutrition.